Ooh, I love this mix of print blouse and checked skirt. Well done! Love this image and this look! Wow~아름다워효 ㅋ 도시을 입고 있는거 같아여^^ 남작가님 수도하셨습당^^일본 잘다녀 오세효!!화이또!! Check out the giveaway I'm hosting on my blog! 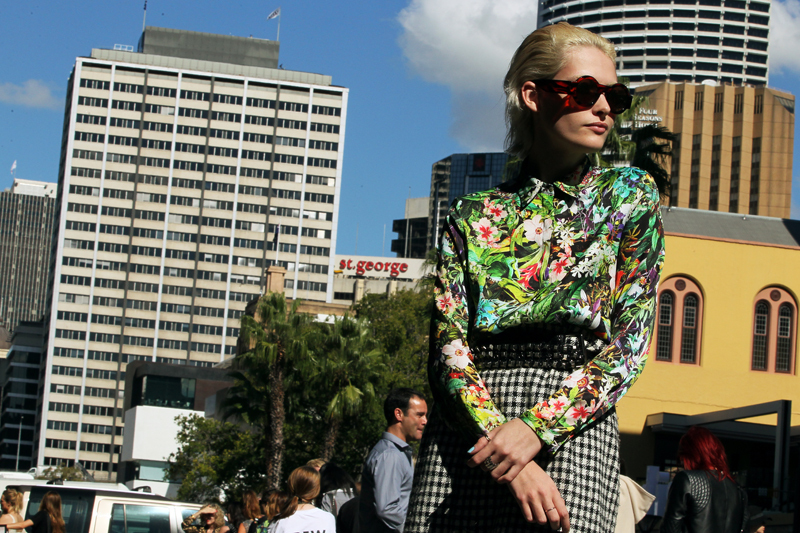 flowers and graphic prints - love! great! amazing! WOW!!! you are awesome photographer no doubt but frnd why you are not shooting indian ethnic dresses like as sari, salwar kameez, kurta pyjama, and lehengas..please reply as soon as poossible. oh my gosh, so so flattered to be featured! i can't stop smiling! Beautiful combo, the shirt is simply stunning! your pics are fantastic, I keep scrolling and scrolling.. Your men's street style shots are so rad- love seeing them mixed in with the ladies. Print on a print. Love it.